Welcome to PastQuestions.ng, Use any of the links below to download the University of Ilorin, Unilorin Post UTME Past Questions and Answers. Other vital information for aspirarants of University of Ilorin is also provided here. Take your time and browse through. 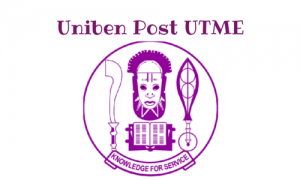 Get the Free Unilorin Post UTME Past Questions and Answers for General paper. English language, Mathematics by using the links below to initiate download. Click here to download now! Welcome to pastquestions.ng, The updated Unilorin Post UTME Past Questions and Answers cost just N1500. We’ve compiled a free sample past questions. This is for candidates who are not able to buy the complete version at the moment. All candidates are advised to go get the full package as soon as possible. It’s just 1000. 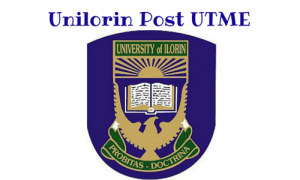 Here is a direct link to get the University of Ilorin Post UTME Past Questions and Answers (Free Samples). Knowledge they is power and this power is what I will be giving my readers in the following series of articles I’ll be sharing, these articles outlines all you need to do to get admitted into some of the best universities in the country. Let’s begin with the UNIVERSITY OF ILORIN. First of all let’s introduce the school shall we. The University of Ilorin aka UNILORIN is a university in kwara state, located in the capital city Ilorin, hence its name. Unilorin is owned by the federal government of Nigeria and was established in 1975. There are 16 faculties in Unilorin and at least 62 departments. There is so much more to be said about this great institution but I’ll stop here and go to the main topic of discussion which is about what aspirants need to know before the go ahead and apply for and undergraduate program in Unilorin. Getting admitted into a big university like Unilorin isn’t as hard as you think all you need to do is read through this article and apply the knowledge. There are two ways of getting admitted to study for a first degree in the University of Ilorin one is by direct entry and the other way is by UME i.e. through JAMB and post utme. For this article I will be focusing on the later. The popular method of getting into unilorin is to apply via jamb straightaway; you don’t need to go through the 8months (2 semesters) of pre-degree studies before applying. 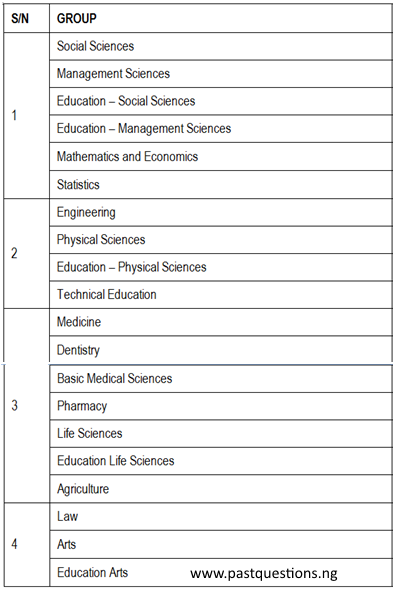 All you need is study the table below select your preferred faculty/course of choice and apply for it in jamb. Candidates can visit the university website for more details if they don’t know what faculties their preferred course falls into. The table below gives an illustration on requirements and jamb subject combination for various faculties in Unilorin. Law English, literature and any other 3 art/social science subjects Literature-in-English and any two other Arts/or Social Science subjects. Social sciences English, maths and 3 other subjects related to course of study Varies depending on department of choice. Visit school website for more info. Life sciences Same as medical sciences Physics, chemistry and biology. The University of Ilorin conducts her post-utme via a computer based test (CBT), candidate should prepare for at least 50 questions that will last for about half an hour or more. Total cost of registration for post-utme is 3000 naira and this is done on the university’s website. The school’s post-utme cut off mark is a score of 50% and above but you need to score higher than this if you really want to stand a chance of being admitted, considering the vast number of applicants/candidate that applies to unilorin yearly. Candidates are advised to dress decently while coming for post-utme examination or risk not being allowed to sit for the exam. Candidates should also come with all relevant printouts and writing materials. The University of Ilorin usually conducts her post utme exams between July and September every year. The secret to getting admitted into Unilorin is studying well and scoring well above the stipulated cut-off mark for the year in both jamb and post-utme. If you do well, it won’t matter who you know or don’t know, you’ll surely be offered admission in the merit list. Use the link at the bottom of the image to download. Here are few vital information for University of Ilorin Aspirants. Most of these information were gotten from the Unilorin official website. We have summarized it and this is the abridged version. We have Compiled the AGBAMI SCHOLARSHIP PAST QUESTIONS AND ANSWERS to Help you win the 2018 awards. If you are serious about winning this scholarship, You should know that the Scholarship Examination consist of 3 sections which are Verbal Reasoning, Numerical Reasoning and Abstract Reasoning. You can’t afford to write this exam without practicing with this Past Questions and Answers. After payment, simply text Name*email address*Agbami to 09020318377. After sending the MTN airtime voucher or making an airtime transfer, simply text Name*email address*Agbami to 09020318377. Thanks for your Interest in purchasing the Chevron NNPC Undergraduate Scholarship Past Questions and Answers. We have Compiled the NNPC/CHEVRON SCHOLARSHIP PAST QUESTIONS AND ANSWERS to Help you win the 2018 awards. After payment, simply text Name*email address*chevron to 09020318377. After sending the MTN airtime voucher or making an airtime transfer, simply text Name*email address*chevron to 09020318377. I see a lot of rogue websites publicizing a booklet they call Post UTME Past Questions for all Universities in Nigeria… Awesome right? No, It is not. I understand our affinity to free things but most of the questions in the these booklets are just spun Jamb Past Questions. This is your future we are talking about. If you are serious about your future, Only buy genuine OAU Post UTME Past Questions. There is nothing wrong with practicing with other O level Questions regardless of what source it’s from. Very soon you will be competing with about 40,000 aspirants. Over half of these aspirants has already gotten the these OAU Aptitude Test Past Questions. I wonder how you intend to compete effectively when they are already 3 steps ahead. Enough said, Protect your future.. get the original OAU Post UTME Past Questions and Answers below.